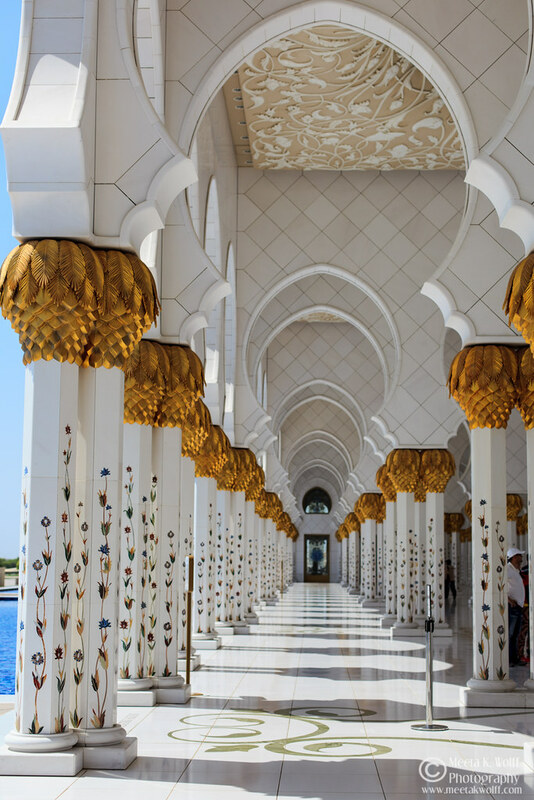 Dubai boasts of infinite superlatives – the list is long and they have taken a lead, setting many trends in various fields. 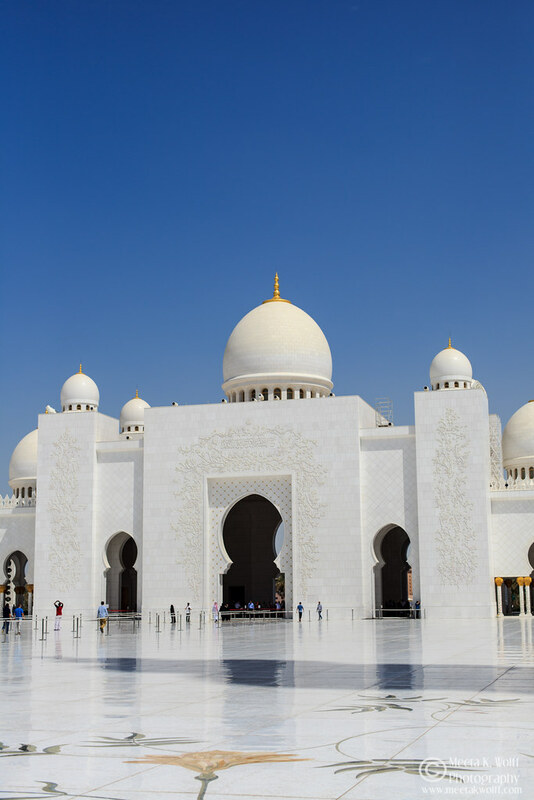 However, another Emirate boasts of one of the most stunning landmarks in the region with a list of its own superlatives to boot. 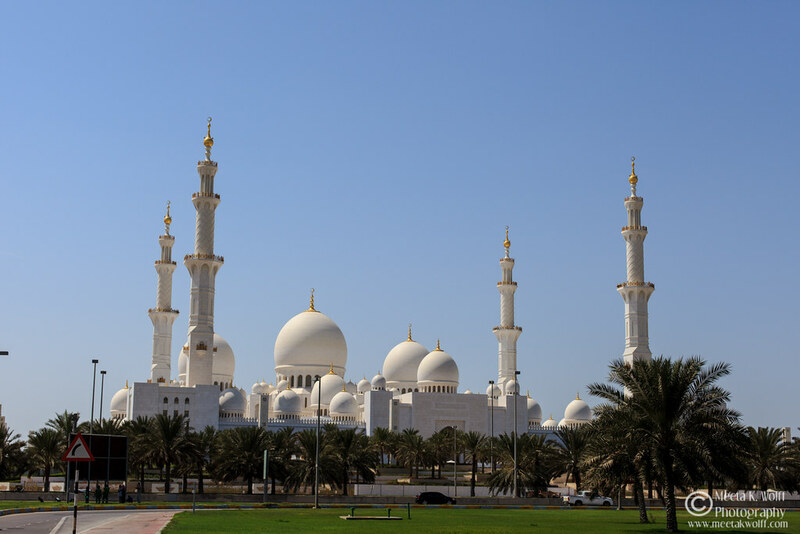 Abu Dhabi’s iconic Sheikh Zayed Grand Mosque, took 12 years to realize and was designed to be an architectural wonder which incorporates both modern and classic Islamic artistic styles. 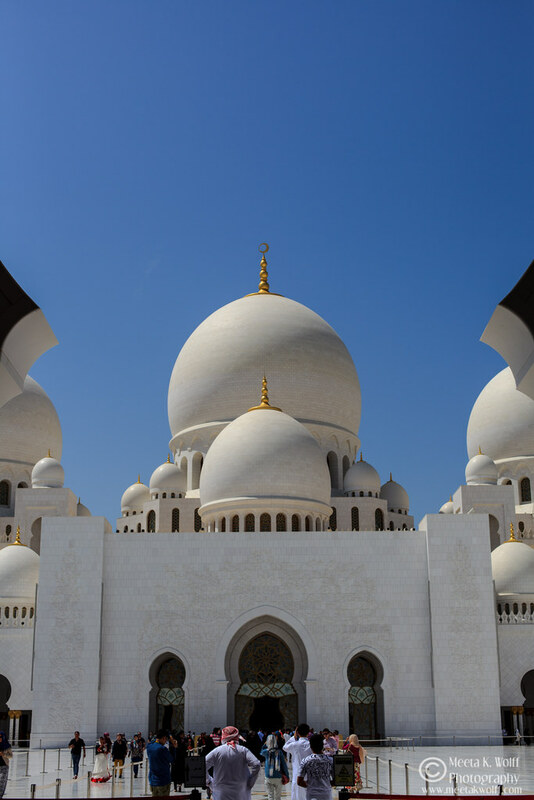 The Grand Mosque features eighty-two domes, with the main dome being the largest mosque dome in the world at 85 meters high and a diameter of approx. 33 meters. 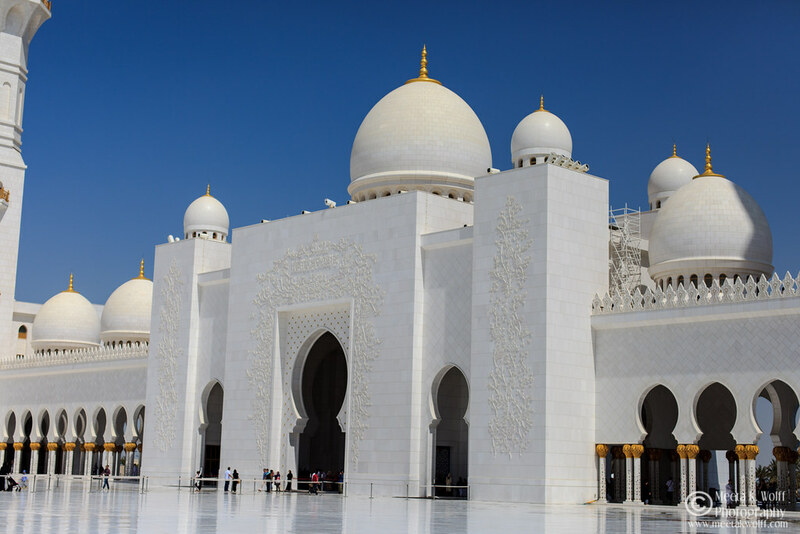 While the sheer opulence is impressive – the crisp, clean and well-defined architecture left me in awe. 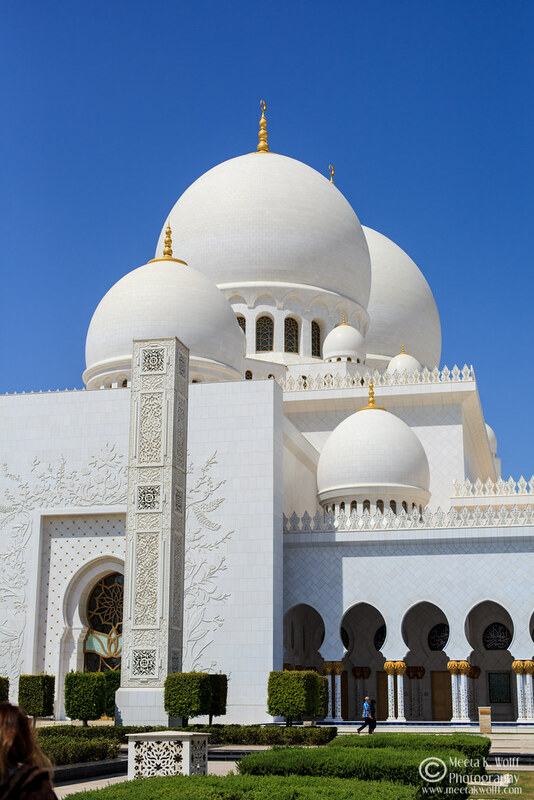 Pure white Greek and Italian marble covers the extensive exterior of the mosque decorated with magnificent intarsia and mosaic. 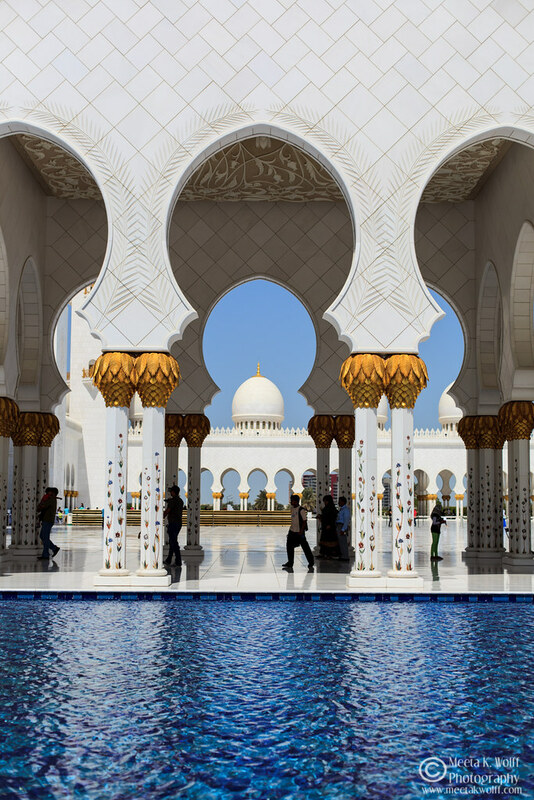 Through beautiful arches and alongside blue pools reflecting the white mosque domes and columns, the stroll around the courtyard gives a breathtaking glimpse of the entire complex in different perspectives. 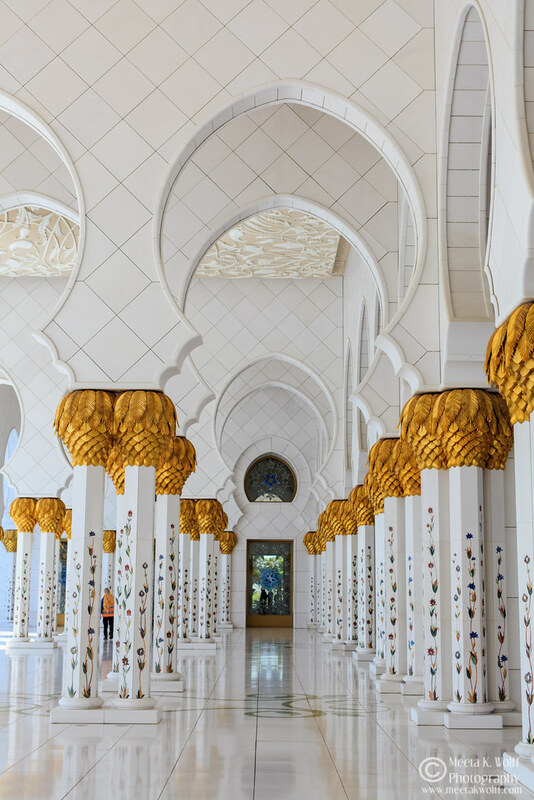 Just as you begin to catch your breath from the grandeur of the exterior the cool interior of the mosque beckons with more majestic splendor. Taking our shoes off before the main prayer hall the air-conditioned interior was a much needed relief to the 41 degrees C under the relentless sun. 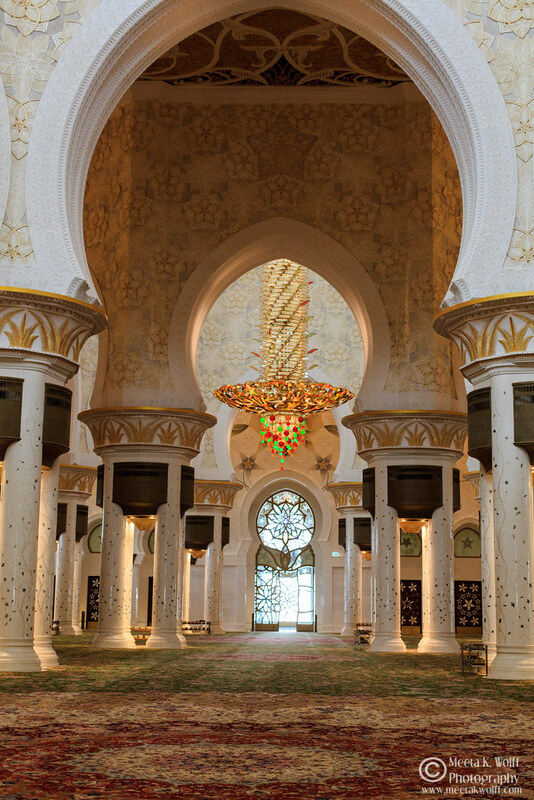 The main prayer hall is decorated with seven crystal chandeliers in different sizes, each luster made of Swarovski crystals and gold-plated. 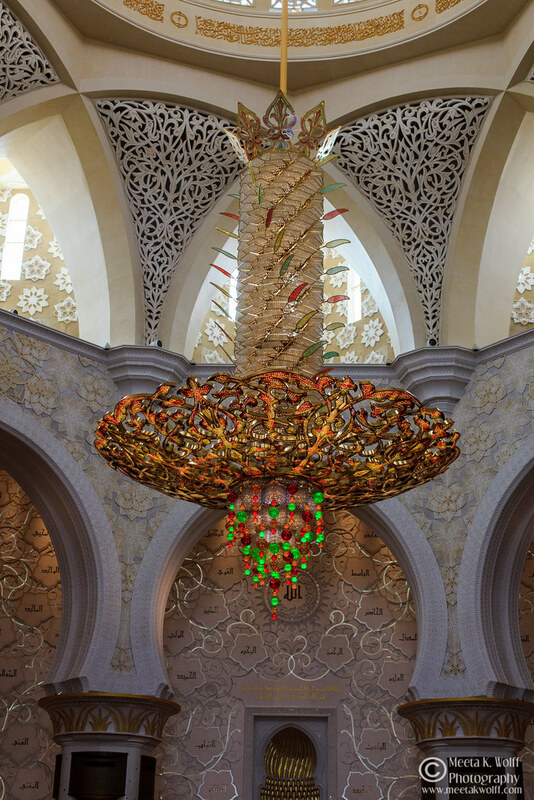 The hall is dominated by one of the world’s largest chandeliers, 10 meters in diameter, 15 meters in height and weighing twelve tons. 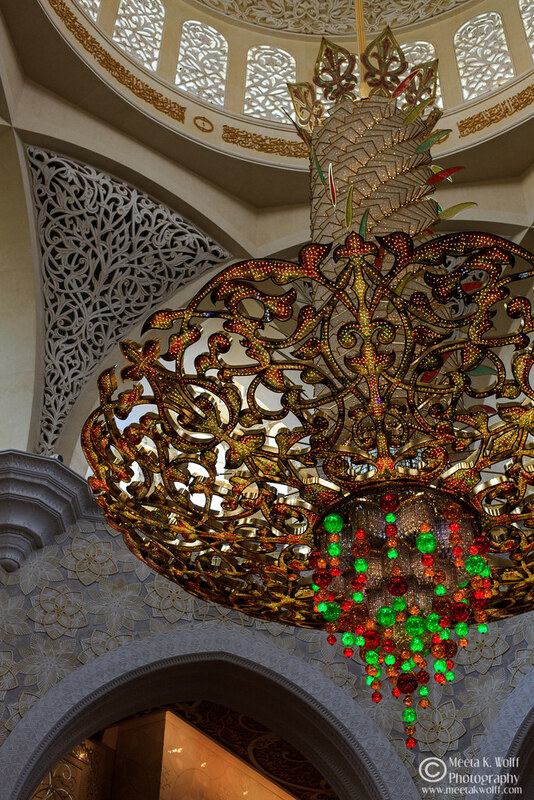 When the neck tires of looking up at the brilliance decorating the ceiling, a closer look at the carpet under the feet reveals more astonishing richness. The carpet in the main prayer hall hand-knotted by 1,300 Iranian craftsmen out of 35 tons of wool and 12 tons of cotton has a total of 2,268,00 knots, making it the largest carpet in the world! “Spaces of Light” is an annual photography competition held by organizers of the mosque encouraging participants to "express their own relationship to this monumental place and convey it through their own eyes” the exhibits are displayed in a light filled room and included some stunning imagery – my favorite were a series of images which showed the dramatic difference between the way the mosque looked while under construction and the finished space. 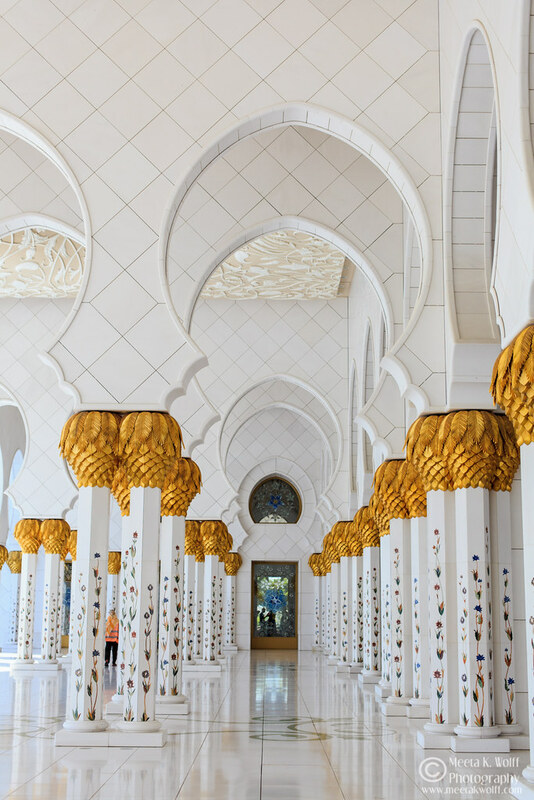 Unlike other mosques, the Sheikh Zayed Grand Mosque is open daily to visitors, except on Friday morning, which is for worshippers only. 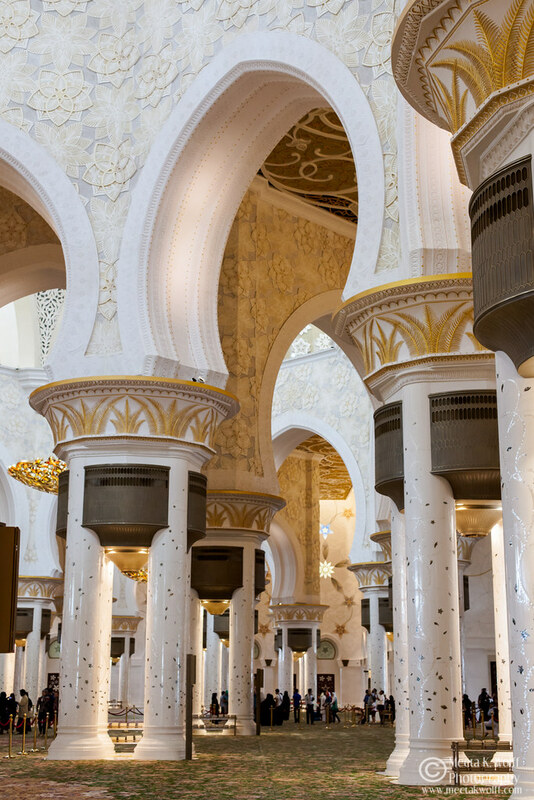 Complimentary one hour guided tours are offered by the organizers and entrance to the mosque is free. 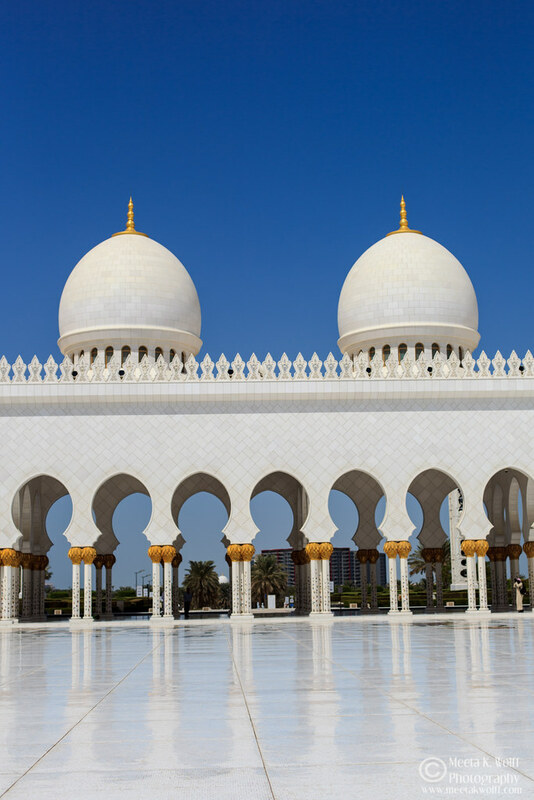 Appropriate clothing must be worn while on the grounds of the mosque. 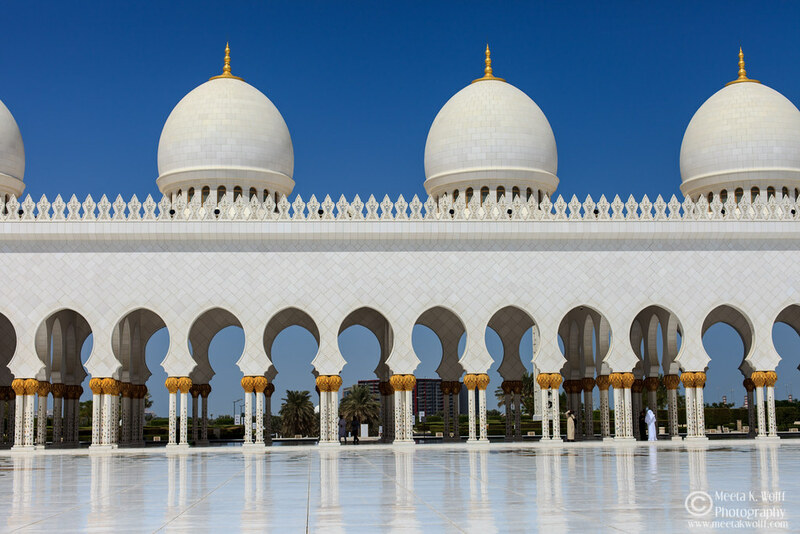 Women visitors are required to wear an abaya covering their head and upper body with the traditional clothing. 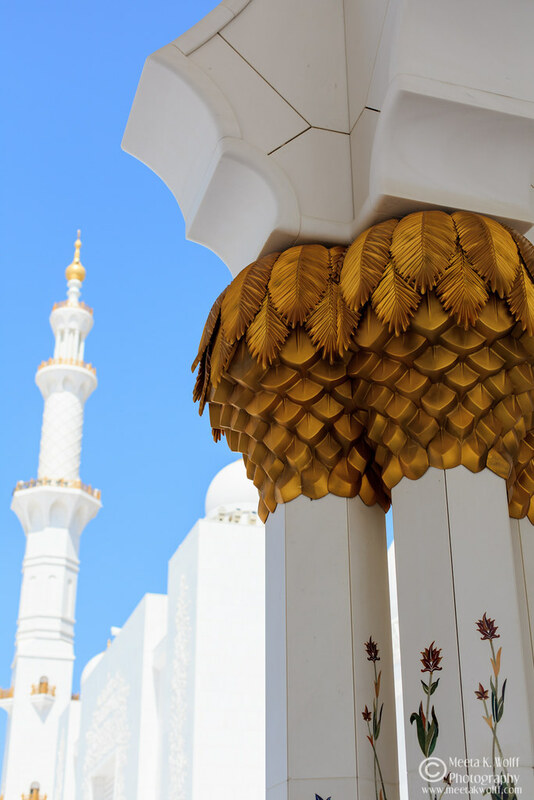 These abayas are available at the mosque, without any charge, however you are required to leave a passport or other ID at the desk until you return the abaya. 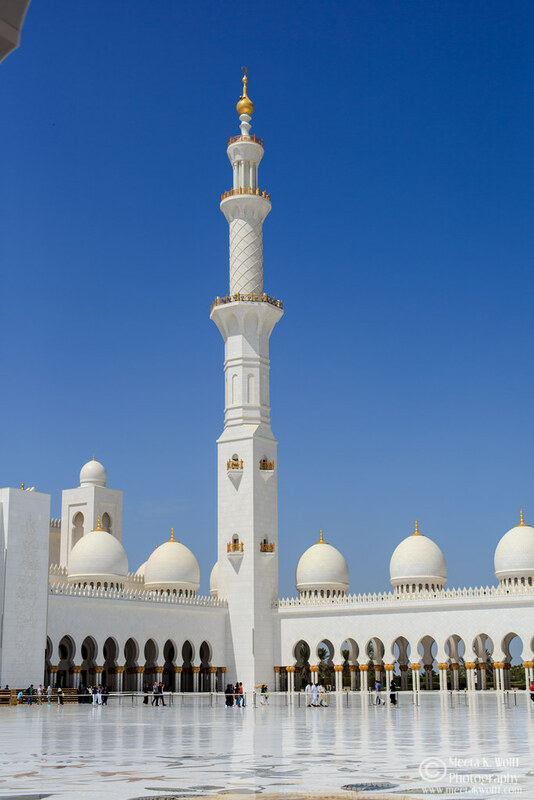 To visit the mosque the website of the mosque offers a range of services and detailed information for a perfect visit. 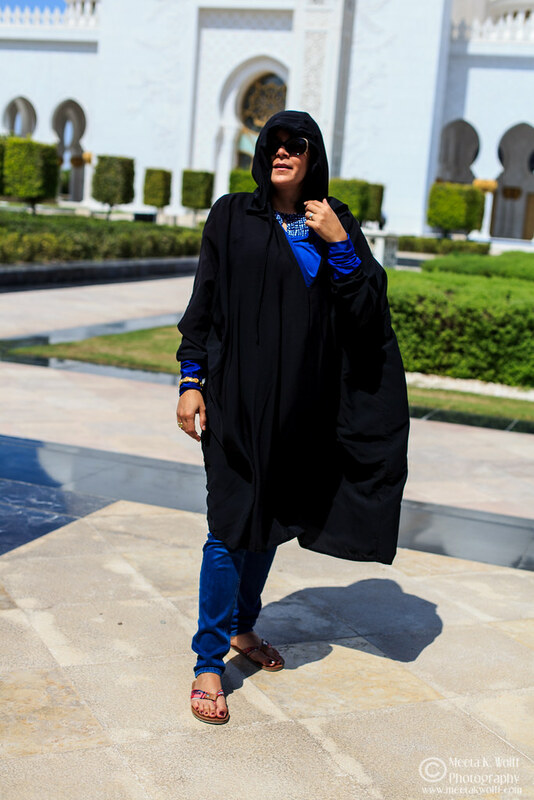 Me wearing the elegant apparel: Abaya under a blazing sun and 41 degrees C! Wow, what a gorgeous place! So clean, beautiful and peaceful. I love that picture of you. It was stunning Rosa! A lot of money went into making this! beautiful pictures! and amazing architecture! Breathtaking and spectacular. What an experience and sight to behold. It was breathtaking. 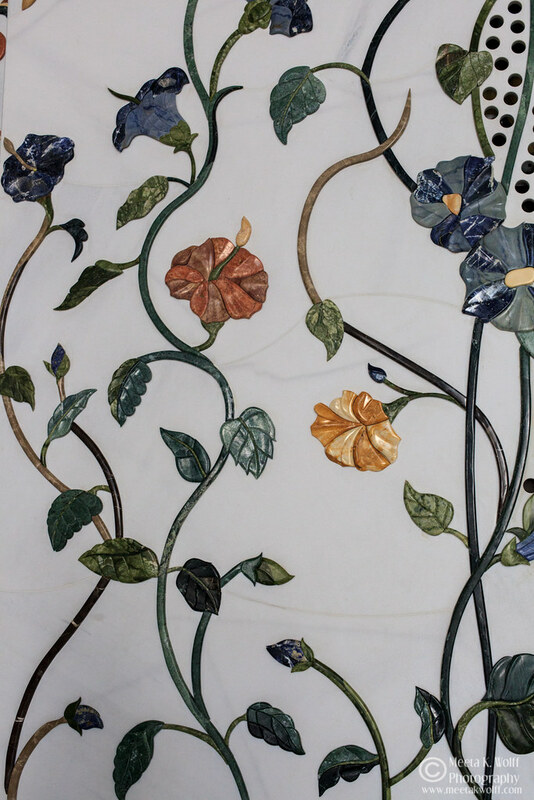 It reminded me of Agra and the Taj Mahal ... but the history and memorial of the Taj Mahal is unbeatable! Welcome and thanks for your feedback! Such a grand and beautiful masjid. I would love to pray there. Spectacular and peaceful. Lail - it must be a wonderful experience. I hope your wish comes true! Wow, what an incredibly impressie building! Great shots Meeta! I need to go and see this For myself next time! Next year in October maybe? Combine it with a food photography workshop! 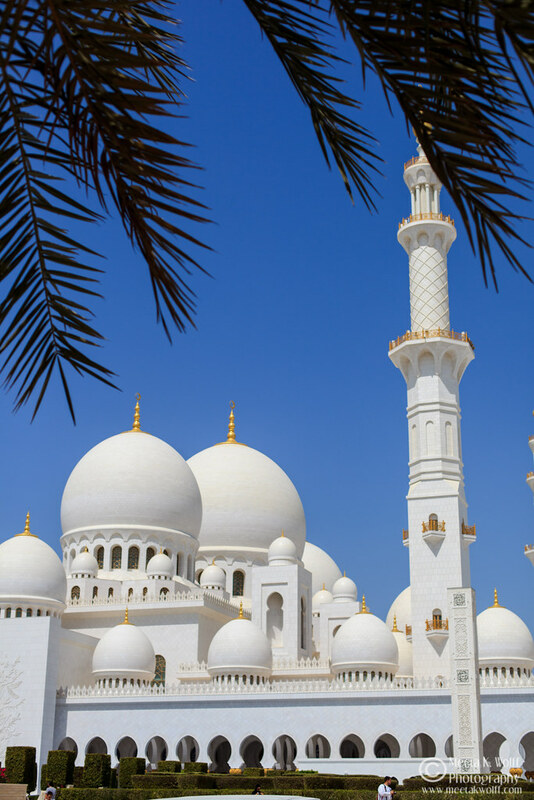 What a gorgeous mosque, beautifully captured. Everything seems so majestic and grand there, quite impressive! An impressive impression and always stunning. 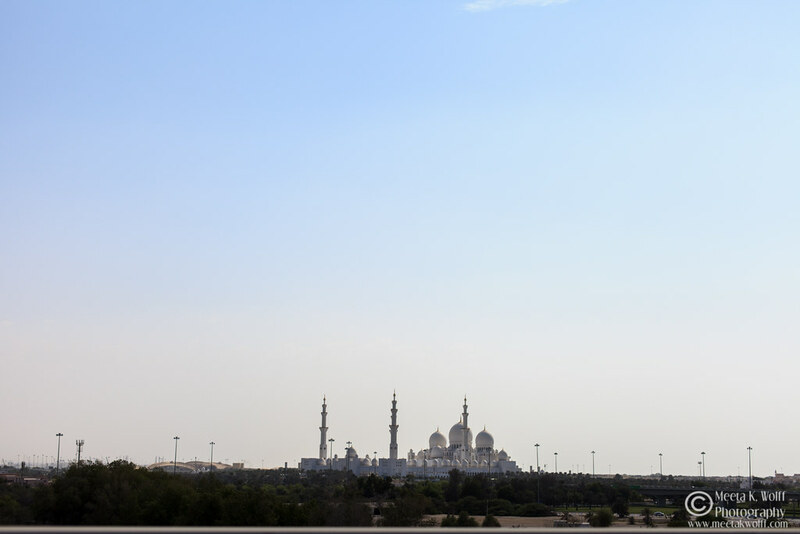 I am always intrigued at how money can realize any vision every time I visit the UAE! Awesome place with awesome photography.Hope i can be there.